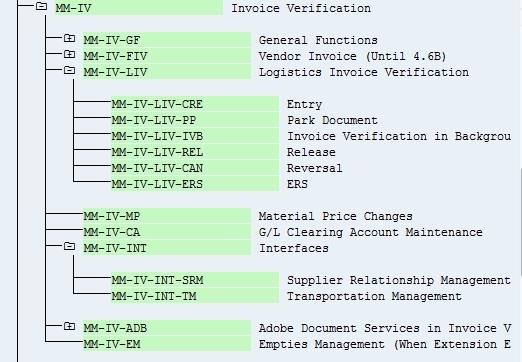 SAP Invoice verification module (MM-IV) is a part of process under Material management module. It occurs as the last step of a material procurement action. View Tables, Transaction codes and PDF tutorials for getting clear knowledge about this component. After all the processes like purchase requisition from goods receipt, invoice verification process occurs against the quantity, price and payments as per the records. If the verification completed successfully, invoice will be posted to the system and will be passed to other modules like Financial accounting and Controlling.